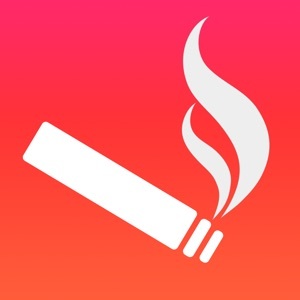 App Report for Cigarette Counter - How much do you smoke? 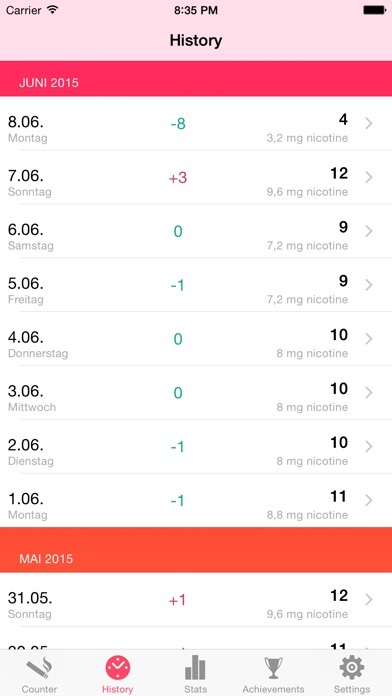 This app lets you count the cigarettes you have smoked. 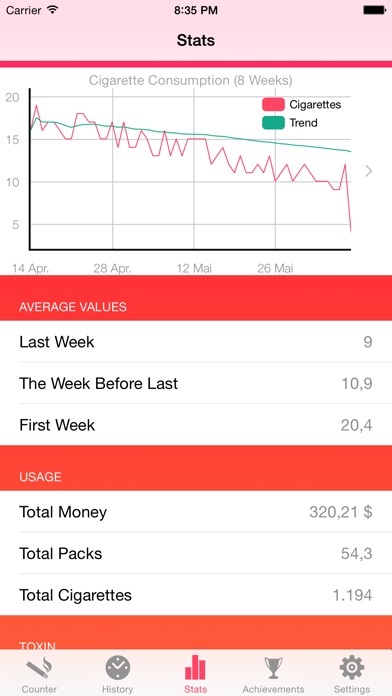 It will chart your cigarette consumption and calculate a lot of interesting statistics. It will not make you quit smoking but knowing how much you really smoke is an important step of the goal to quit smoking. Press the plus button to add a cigarette. 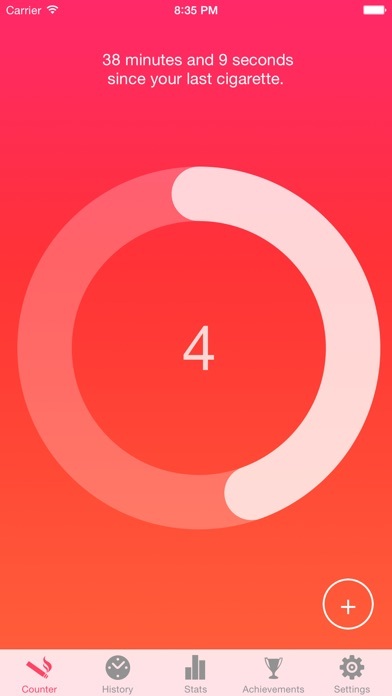 Just in case you accidentally pressed the plus button a minus button will appear you can undo the count by pressing it. 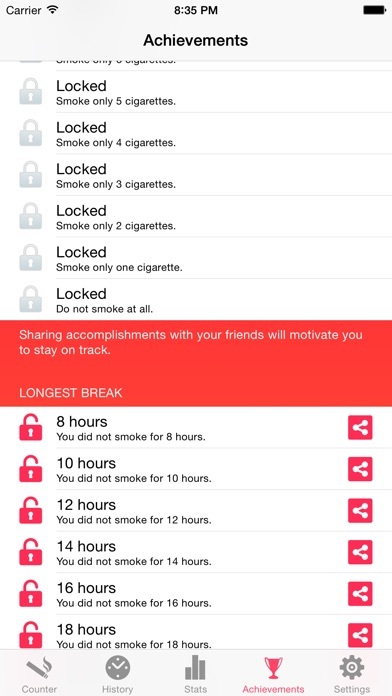 Cigarette Counter is also available for Apple Watch. 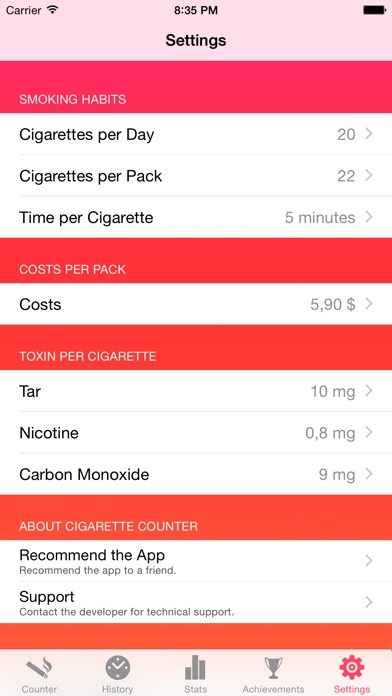 Category Ranking Trends for Cigarette Counter - How much do you smoke?